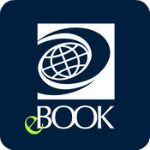 LearningExpress Library features online tutorials, practice tests, and eBooks to help patrons of all ages. It offers job search and workplace skills improvement, skill building in reading, writing, math, and basic science, career certification and licensure exam prep, college and grad school entrance test prep, GED® test prep, and more. To access LearningExpress Library, you will be asked to create an account.